When you choose to design your website with Higher Images, you can expect an effective website design process that gets the job done efficiently for both small and large companies. At Higher Images, we firmly believe that your website design can make or break your sales, so we have designed and refined a website process that produces a usable and effective finished product to help you drive traffic to your site and increase your sales. 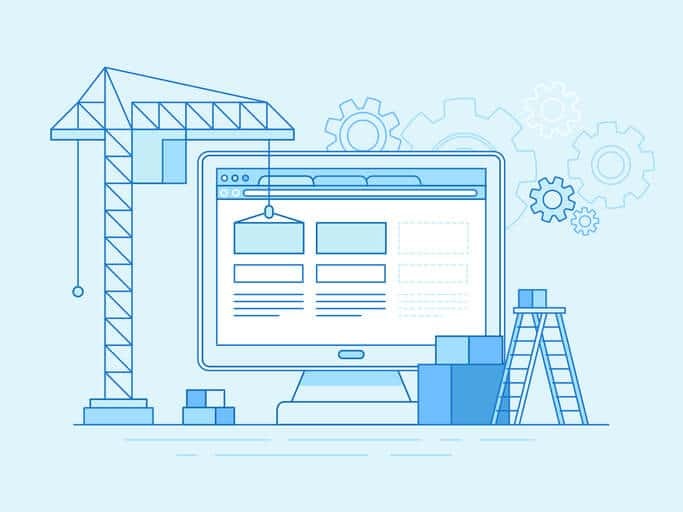 In this article, we take you through an overview of our website design process and the basic strategy for each step in the process to help you gain a better understanding of what to expect when working with us. We will also discuss your competitors as well as websites you like or don’t like to help develop a website strategy unique to your industry and your preferences. Communication with our clients is the key to the success of the project, so throughout the design and development process, we use a project management system called Basecamp. This platform allows us to communicate with all our team members and yours sharing updates on the project as well as images, content, logos and other components of the project. This helps to keep the project on track and keep all key team members in the loop. After your initial meeting, if you have chosen to have us write content for you, one of your content writers will begin drafting the website content. Once this is complete, it will be posted in Basecamp for your review. During your review, we will work with you to make any necessary revisions to your website content. If you choose to provide your own content, you will gather the files and provide them to our team via Basecamp. While content is being written, our graphic designer will create an initial image of the homepage layout and one inside page of the future site. Once completed, this design will be posted in Basecamp for your review, revision, and approval. This is where the website starts to come to life as a functioning product. Once the design is approved, it is passed on the development team who will use the initial graphic image to create the website. All approved content is also added to the site at this stage. Your website will be optimized to make it search engine friendly and to ensure it covers the correct keywords to help you with your rankings. All in One SEO is installed, and Google Analytics will also be integrated into the site. To ensure your finished site is built your specifications, we will check the website layout on all devices including mobile, tablet, and desktop to ensure the site appears as it should. We will also test forms, check for broken links, validate your phone number, address, and social media information to ensure everything is accurate. Our proofreader will check for any spelling or grammar errors as well as any errors in the placement of the images, headers, and overall design that may need to be corrected. Before we take your site live, we will meet with you via phone or in-person to review the site and make a note of any revisions that need to be made. Once the revisions are complete and you approve of the website, we will take it live. We will create your emails (if applicable) and notify you when the site has gone live. This comprehensive training provides our clients to take control of their site, providing them with the ability to make updates to their site, put in tickets for website issue or changes, and help them best utilize our web marketing console. The WMC provides clients access to training videos, current products, and the status of their active tickets. In addition to our efficient website design process, we also offer a range of marketing services to help ensure you get the most out of your new website. We provide a variety of programs and services to help you build your brand, drive traffic to your site, and increase your sales. From social media management and corporate branding development to paid search ads, PPC (pay-per-click) ads, and display ads, we can not only provide you with a clean and attractive website to help you boost sales, but we can also help you crush your goals with our range of on-going marketing services. Contact Higher Images today to learn more about our website design process and how we can help you get a competitive edge in your industry!